Kidney failure, or Chronic Renal Failure, is most often seen in the older dog or cat and may be caused by a wide variety of issues. Causes range from being born with poorly functioning kidneys to the accidental ingestion of antifreeze that contains ethylene glycol. Most of the time kidney failure results from long term (chronic) inflammation of kidney tissues called chronic nephritis. The inflammation damages the delicate tissue of the kidneys. Another unfortunate cause, in recent days, arose from tainted ingredients in many of the popular, main line, brand name pet foods. Over 14,000 pets succumbed to kidney failure from consuming pet foods laced with melamine. While the sellers made money, and the buyers saved money by purchasing from overseas, it was the pets who paid the ultimate price. The best way to prevent this from happening to your pet is to always feed a high quality, premium food. High protein diets used to be implicated in some cases of causing kidney failure, but that is inaccurate and based on antiquated research information. As long as kidneys are in good health, a high protein diet is not a problem. However, if the kidney is diseased, then the diet must be altered and a low protein diet is best. Feeding a low protein diet does not prevent kidney problems. 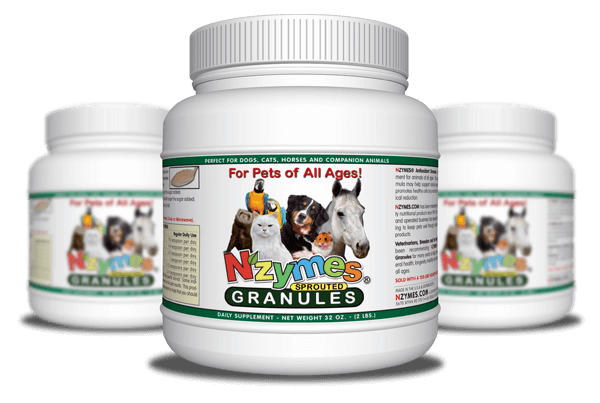 It should be noted that feeding the Nzymes Antioxidant Treats or Granules, though 48% protein, will NOT have any bearing on the overall protein intake being consumed. For more insight on this, please click here. 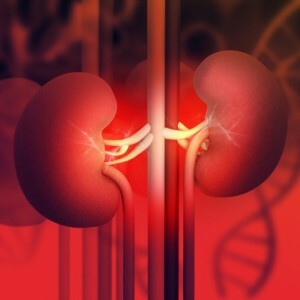 When kidney disease is present, the body’s waste material builds up in the blood causing uremic poisoning. These toxins promote vomiting, poor appetite, depression, and eventually death. Bacterial invasion of the kidneys is a common cause of chronic nephritis and kidney failure. 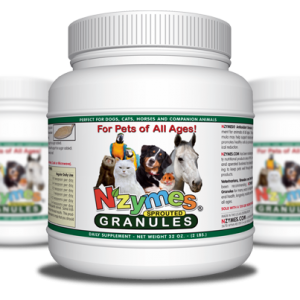 Feeding a high-quality diet with living dietary enzymes present, such as the Nzymes Antioxidant Pet Treats or Granules is an important key to keeping the body detoxified helping to take the load off the kidneys.